Lawsuits are almost always unwelcome surprises. Combined with the regular daily stresses Board members face for their communities, it's a relief knowing you have proper insurance in place, right? So, when the insurance company denies the claim saying you didn't report it quickly enough, you reach for the heartburn medicine. Unlike in Georgia, many other regions of the country are lenient when it comes to missing reporting deadlines. In these States, the thinking is that only material breaches relieve obligations under a contract. 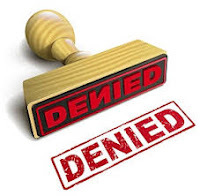 Insurers should not benefit if they haven't suffered an actual disadvantage due to late notice. And as one court said, "It would also disserve the public interest, for insurance is an instrument of a social policy that the victims of negligence be compensated." A century ago, insurance policies were truly private contracts and judges avoided altering them. Many courts now recognize that insurance policies are no longer fully negotiated agreements. Instead, these are based on standardized forms with conditions dictated by the insurance company. Since these forms are now used industry wide, there really aren't alternatives for the consumer to tap into. But we live in a pro-insurer state, so let's dig a little into this whole "notice" thing. Your insurance covers a time period defined as either "occurrence" (for damages that happen during the term of the policy, such as a windstorm) or "claims made" (for when you are served a lawsuit, not necessarily when an incident occurred). "Claims made" policies have become more popular for insurance companies. It helps them avoid losses from asbestos, environmental, and other claims having roots in actions occurring decades ago. Among other reasons, the insurer isn't having to defend a previous customer from thirty years back, and can tack on stipulations to the claims-made policy to limit covering similar events for new clients involved in such items. The claims-made version can be either "general claims made" (discovery policies) or "claims made and reported policies" (reporting policies). A general-claims-made policy may say something like, "The Insurer shall pay on behalf of the Insured on account of any claims first made during the Policy Period." 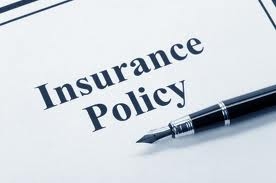 A claims-made-and-reported policy may be something like, "The Insurer shall pay on behalf of the Insured all sums which the insured shall become legally obligated to pay because of any claim or claims first made and reported to the Insurer during the policy period." See the difference? General-claims-made versions often give you a longer window to place a claim. While Georgia courts usually side with the insurer when it comes to determining the notification period, on occasion something known as the "prejudice" rule comes into play. In this arena, prejudice means that delaying notification to your insurance carrier placed it at a disadvantage. It needs time to investigate, set aside reserves, and control or participate in negotiations if it hopes to have the best outcome possible. If the insurance company can show prejudice, it avoids covering the situation even if there is a question about the late notification. The take-away is this: As soon as you suspect a claim, notify your insurer. If your claim is denied, consult with your Association's legal counsel. And most importantly, be sure to only use insurance brokers who regularly operate in the homeowner association industry. You can locate them at the Georgia CAI (Community Associations Institute) website. The first mistake many Boards make is cutting corners on costs by using an insurance broker who is not familiar with all the intricate pitfalls faced by HOAs. An inexpensive policy fails you when you need it the most. Don't scrimp in this area. I am impressed with your work and skill. Thank you so much. Biltrite, LLC Home Inspection lately inspected our house. He became extraordinarily thorough and helpful in explaining all of the matters that he becomes looking for the duration of the inspection! I really like his sense of humor and a purple tie! At the give up of the inspection, he gave us a preservation book!